Looking for a TV Christmas Yule Log on DVD? Scroll to the bottom of this article. We’ve got some suggestions from Amazon. Several years ago, I noticed TV Yule logs for the first time radar. What’s a TV Yule log? It’s when a network or channel airs a looping video of a cozy fire, usually crackling in a fireplace replete with holiday decor. It’s a fun way to add some virtual heat to your holiday gatherings. Until that year, I had only seen DVDs that played a variety of yule logs. Then The Hub network (remember them?) announced it would be airing a My Little Pony: Friendship Is Magic Yule log for the entire day of Christmas. I thought it was a cute idea, and from time to time, my children and I would check in with it. I’ve discovered several channels and YouTube videos that will be airing Yule logs for you to enjoy. Hey, Star Wars fans! Celebrate the holidays with five hours of Darth Vader (after redeeming himself and dying in Return of the Jedi) burning on a pyre. Merry Christmas! Use this Game of Thrones Yule log at your gathering. The video is of a roaring fire, but the theme song plays over and over. For two hours! Fans of Doctor Who will enjoy this slice of idyllic life. The Tardis sits inside a snow globe while a fire roars in the background. Nick Offerman (Parks and Recreation) sits silently in an armchair next to a crackling fire. For 45 minutes. For ages 21 and older because he does occasionally sip whisky. Happy the Cat, along with his doggie friend, lounge on a holiday pillow in front of a crackling fire. Christmas carols are a bonus! This is a long video clip showing a variety of animated yule logs, brought to you by ChannelFrederator. It doesn’t have the same mesmerizing ability of live-action, looping videos, but it will certainly start a conversation. Fans of TV cartoons will especially get a kick out of it. 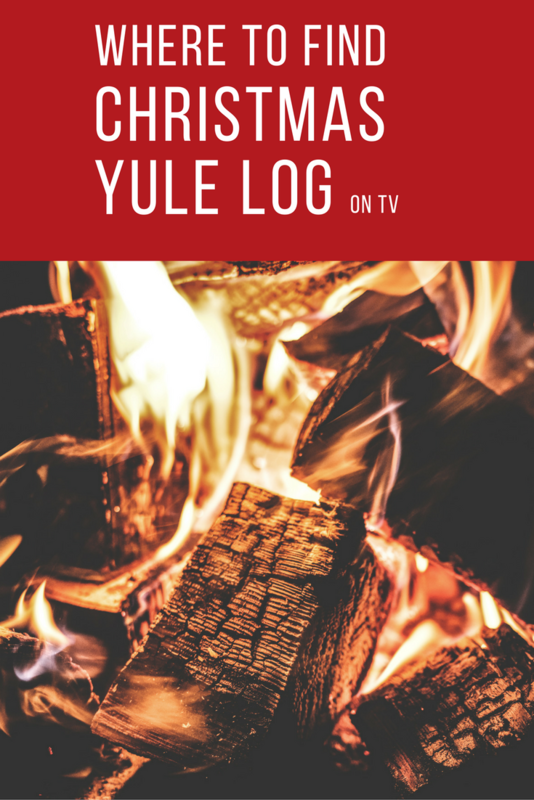 These cable and TV providers have specific channels On Demand that offer a variety of yule logs, some with music, others with clips from movies. Be sure to check with your own provider. Thanks for reading! Have a happy holiday! Updated Dec. 7, 2018: THERE IS NO OUTLANDER YULE LOG. It has been disabled. I’ll let you know if another is uploaded. Perhaps the best yule log you could possibly tune into is the Outlander yule log that is part of the 25 Days of #OutlanderOfferings. In past years, on Christmas Day, Outlander fans (and anyone who enjoys all things Scottish) cuddled up in front of a roaring Scottish hearth, courtesy of Starz’ first-ever yule log broadcast. The yule log usually begins with a countdown clock ticking down to the Outlander marathon (exclusive extended versions!). The cozy scene was filmed on location at Lallybroch, the Fraser family home, and fans can revel in the traditional holiday celebration set to music from award-winning Outlander composer Bear McCreary. You can also show the Outlander yule log on your computer. Click here. The Outlander yule log online lasts an hour and a half! You are smarter than the average reader or perhaps more trusting. A lot of people won’t click on a title if it DOESN’T say free because they think there will be fees to pay.